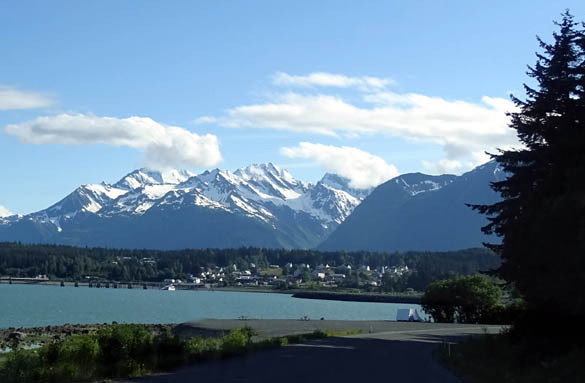 FORT SEWARD, CHILKAT STATE PARK, ETC. 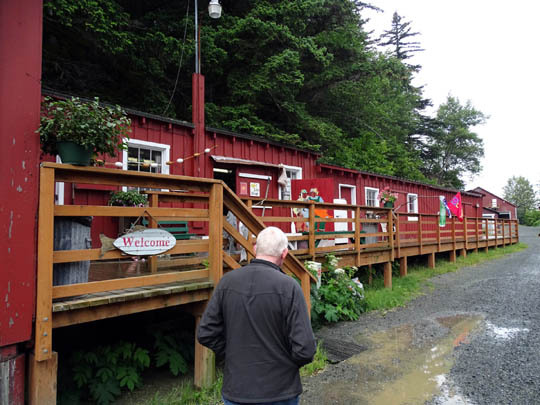 Gold Rush, and home of Alaska's first permanent Army base." 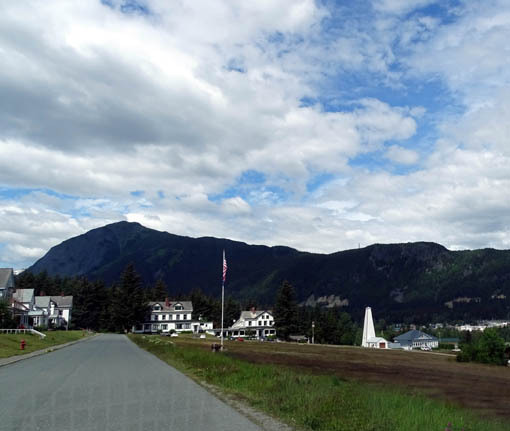 After we got set up in our campground site at the Haines Hitch-Up RV Park we drove a few blocks downtown to the visitor center to pick up more information than we already had about all the things there are to see and do in the area. There's a lot for us to do here! We knew we couldn't do everything in one week so we picked out a few sightseeing, hiking, and bike riding options that sounded the most interesting to us, then drove around town right away to get a feel for the buildings, streets/roads, trailheads, etc. We stayed busy every day. Battery Point juts out into the water on the right. 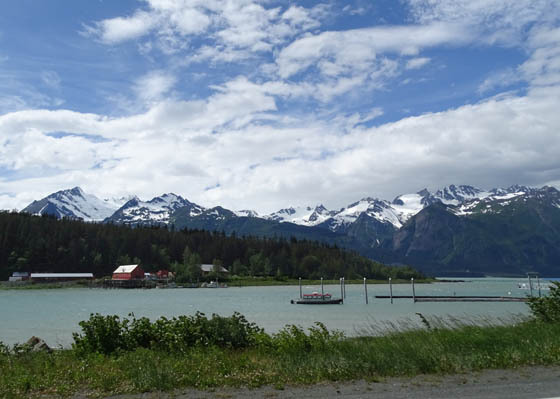 This entry covers a variety of scenes in and near Haines, including the harbor area, Portage Cove, Fort Seward, totem poles and murals, Mud Bay Road, Chilkat Inlet, the fish packing company, and Chilkat State Park. I'll have separate entries on hikes to Battery Point and up Mt. Riley and Mt. 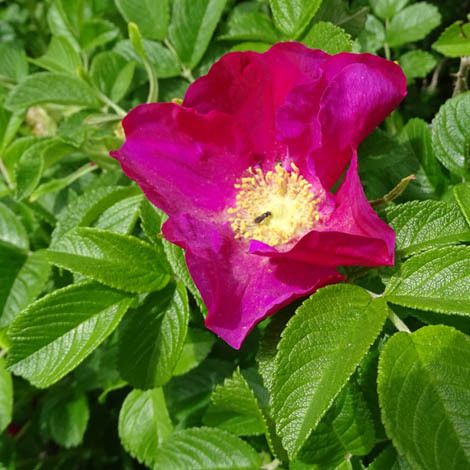 Ripinsky, bike rides to Chilkoot Lake State Recreation Site, and a raft trip on the Chilkat River through the Alaska Chilkat Bald Eagle Preserve. 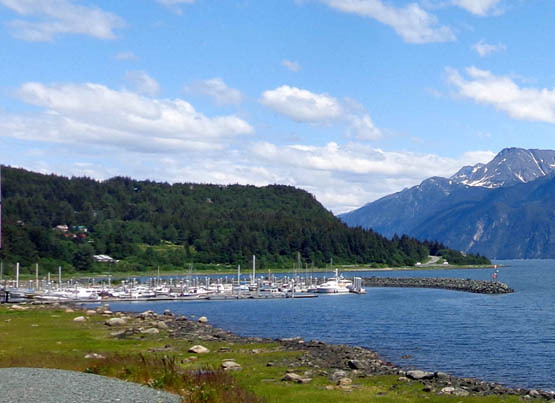 Like many small Alaska tourist towns, Haines' population swells from about 2,600 year-round residents to considerably more than that each summer. 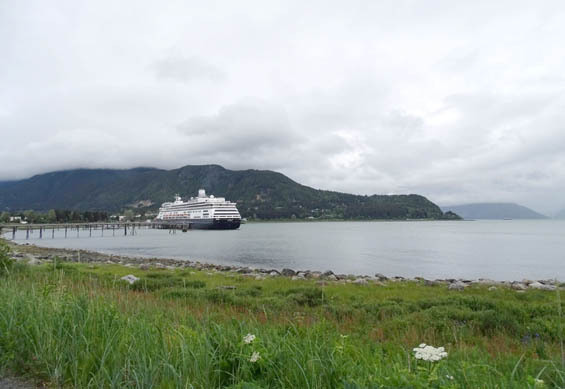 The area didn't feel at all crowded to us this week, however, probably because most of the cruise ships and ferries continued up the Lynn Canal another 15 miles to dock at Skagway overnight. 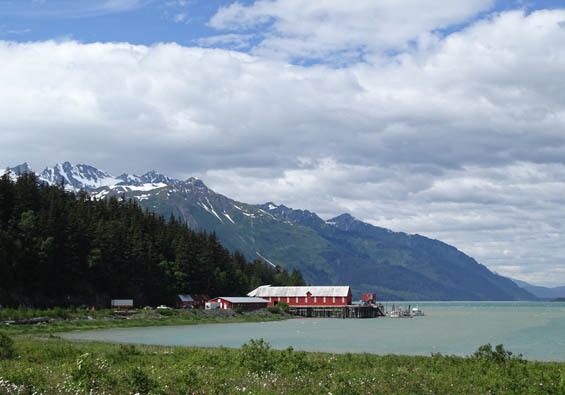 That was fine by us because Haines felt more like a friendly, artsy community than a tourist trap. but the rest of the time the little dock looked more like below. 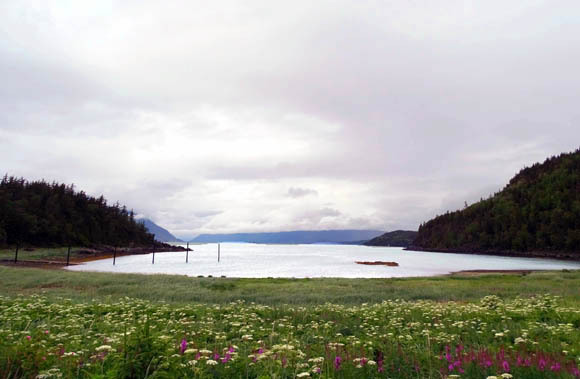 Visitation continues in this coastal Southeast town into late fall during the second big salmon run up the Chilkoot and Chilkat Rivers, bringing out the bears and bald eagles. 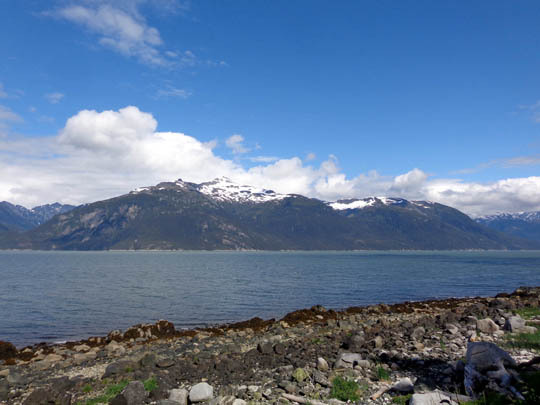 Fishing, photography, and just watching all the wildlife action brings many visitors to Haines in October and November. 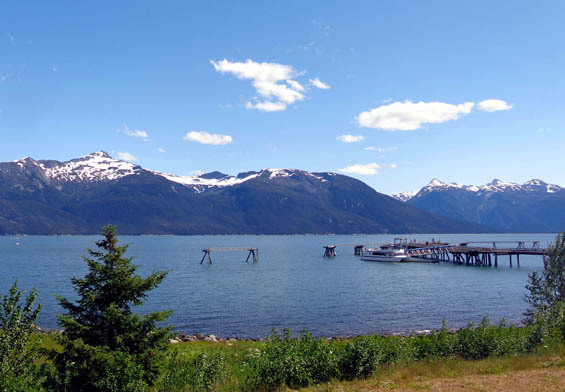 There are good views of the scenic harbor, Portage Cove, and the surrounding mountains from just about everywhere in town, even at sea level. The land slopes up from the water to about a hundred feet in town. 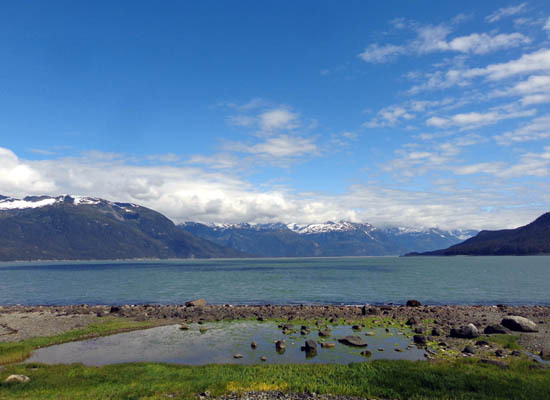 Several glaciers are visible in three directions from Haines. View of Fort Seward from Lutak Rd. 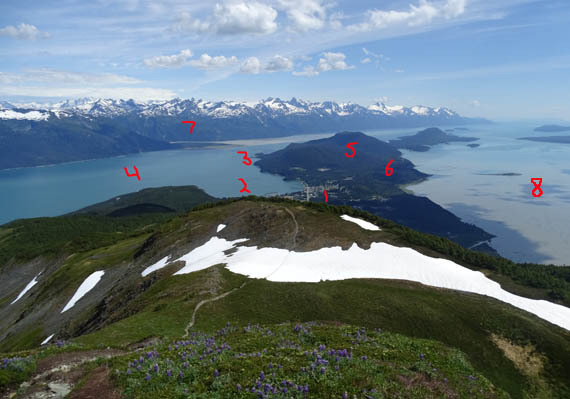 That photo pretty well shows where the points of interest are located that I'll be talking about in this series of entries on Haines. Chilkoot Lake Rec. 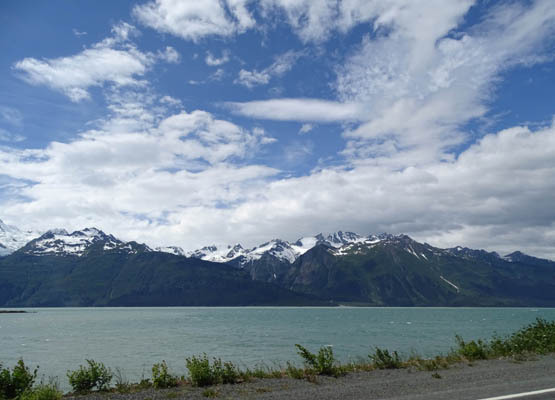 Area is farther to the left (NE of town) and the Chilkat River/Haines Hwy. are farther to the right (NW of town). 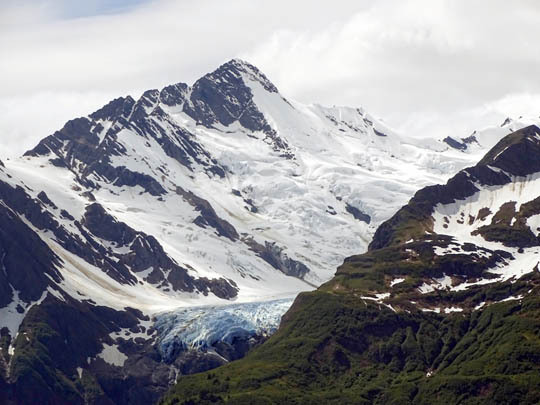 Fort Seward, named after the man who brokered the purchase of Alaska from the Russians, was built in 1903 as a symbol of America's strength in a border dispute with Canada after the Klondike Gold Rush wound down. 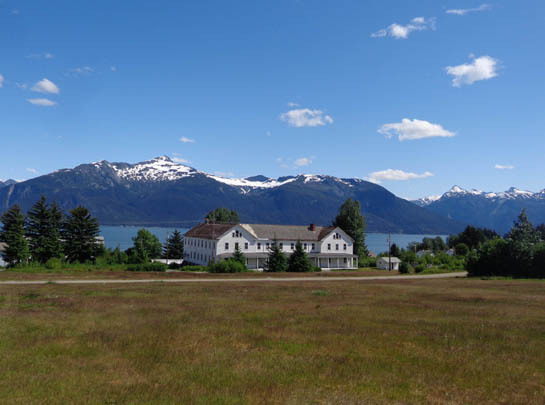 The fort encompassed about 4,000 acres of land that now includes the town of Haines. During its years of operation from 1904 to 1946 the fort anchored the local economy. 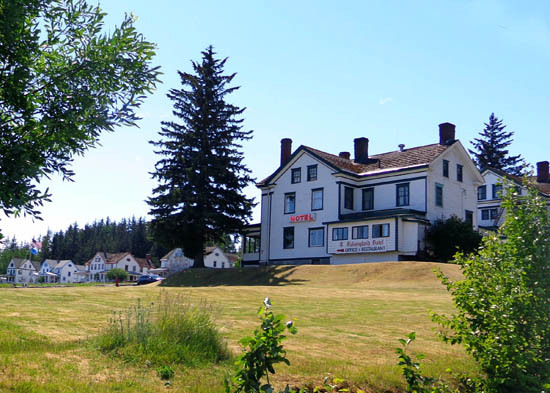 The post was deactivated after WWII and a group of veterans purchased the land and buildings. Although the initial cooperative failed, the residences and businesses continue to be owned by private interests. The visitor center has lots of old photos and information about the history of the fort. 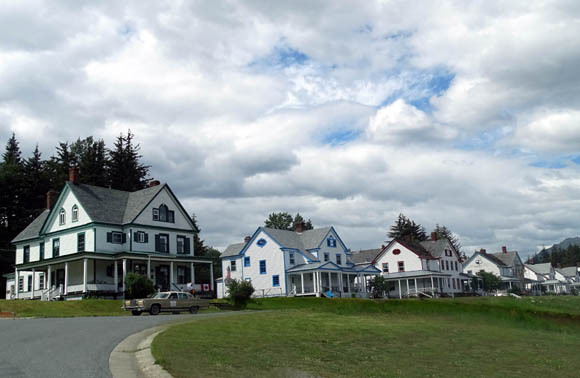 You can take a walking tour past the remaining buildings or drive around the large grassy former parade grounds to view the grand houses the officers occupied and other buildings that have been restored to maintain their historic appearance. 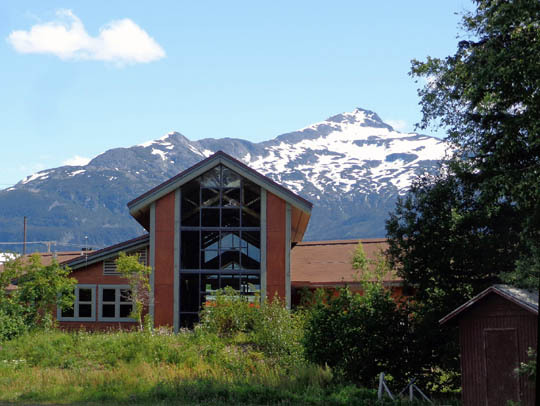 The former Army hospital is now home to Alaska Indian Arts. Some of the buildings on the former post have been torn down; others have been restored and repurposed by new owners. 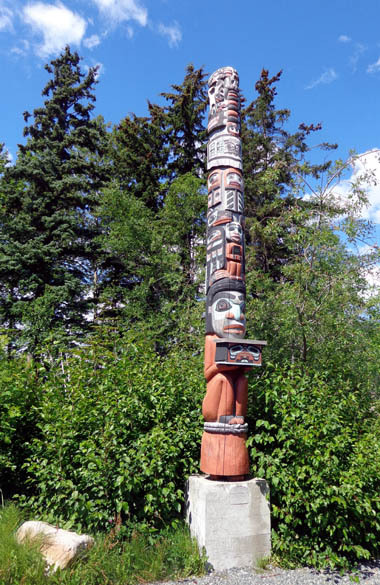 Various totem poles, other carvings, and murals in and near Haines signify the Alaska Native legacy of the Chilkoot and Chilkat tribes. 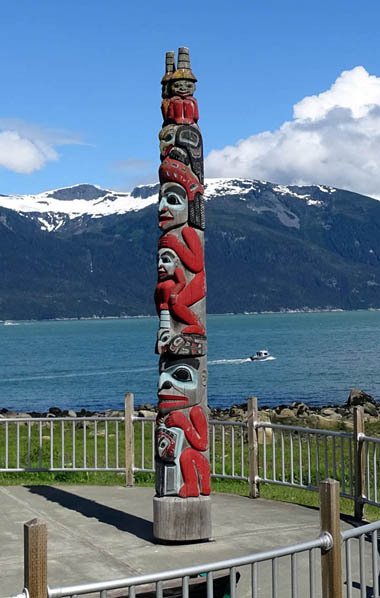 Most of the poles were carved in Haines by Alaska Indian Arts, a non-profit, educational group based in Fort Seward that was established in the 1950s to perpetuate Tlingit cultural practices. 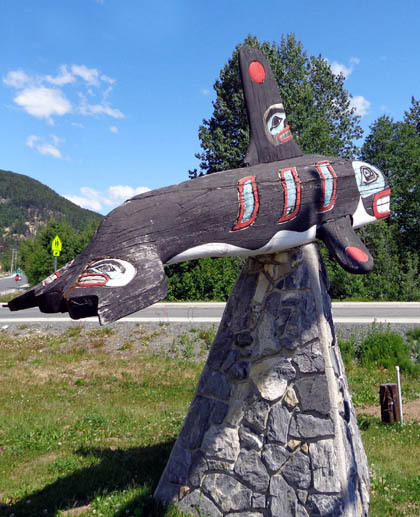 The 16-foot "Eagle Family" totem pole is located at Lookout Park just above Portage Cove near downtown Haines. 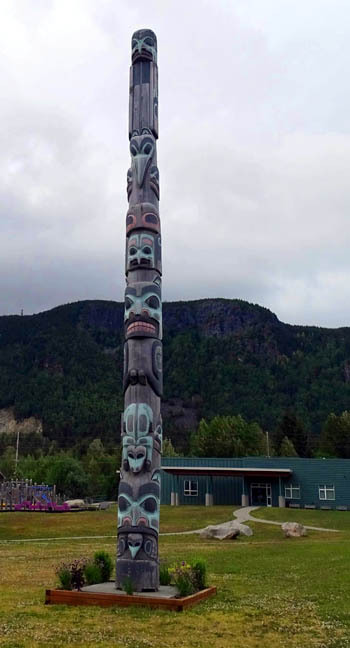 A father figure at the bottom of that pole represents an Eagle chief holding a form of Tlingit currency that symbolizes wealth. 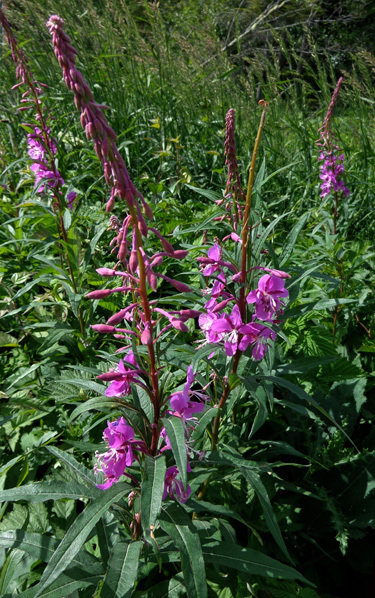 lots of pretty flowers blooming in and near Haines right now. 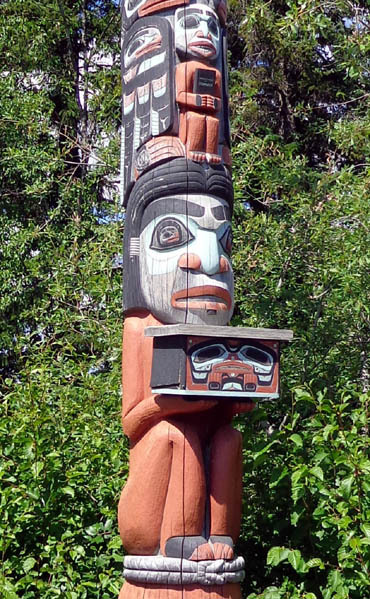 There are other totem poles at Fort Seward, the entrance to town, and the road to Chilkoot Lake State Recreation Site. The orca is on the official seal of the Haines Borough (boroughs in Alaska are similar to counties in the Lower 48 states). The eagle and raven are both strong Native American symbols. Doesn't sound very enticing, does it? 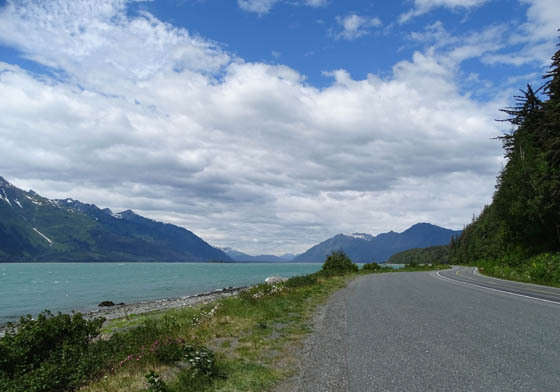 This is a very scenic paved road, however, that leads south from Haines along the Chilkat Inlet to some beautiful mountain views, Chilkat State Park, the Haines Packing Company, and nice houses. 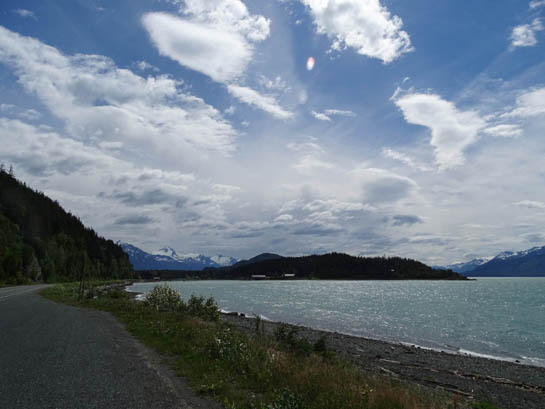 Our first afternoon in Haines we drove all over the place, including Mud Bay Road. One reason was to find the trailhead to the most popular trail up Mt. Riley for a hike on another day. We found that, then continued farther on to the park and the packing company. Those were a disappointment because of all the clouds (lackluster photos) and the packing company wasn't processing any salmon that day. The gift shop was open at the packing company but no fish were being processed that day. 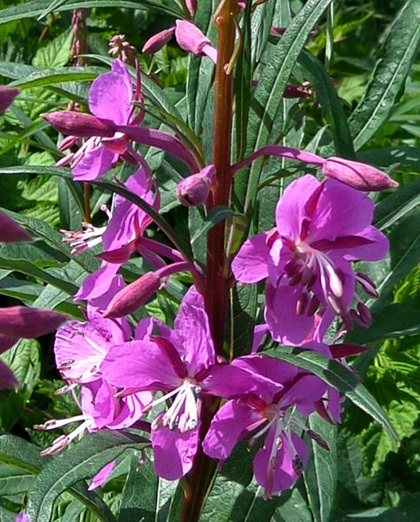 A scenic cove at Chilkat State Park, where lots of fireweeds and cow parsnips were in bloom. Note the blue ice at the edge of this hanging glacier. Unfortunately, no seafood being processed that day, either, so I just took scenic photos of the buildings from across the water. It's too early for the salmon but Dungeness crabs will be coming in about the time we leave town. One last photo in this entry . . . 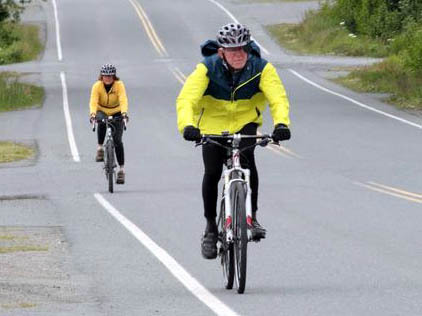 He was writing an article about the race and lucked out when he found a participant training for it. We got a copy of the paper when it came out. The guy even had all of our information correct!